A country of contrasts, Iceland is a place where there are both stark, rugged landscapes and unbelievably beautiful views abound. 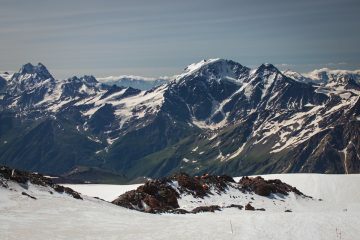 It is often regarded as the land of ice and fire due to its countless glaciers and multiple volcanoes. It is this environment that makes it such a great location for the more adventurous travellers among us. The interior is wild, raw and unforgiving, but it is also spectacular and offers a great backdrop to any adventure. 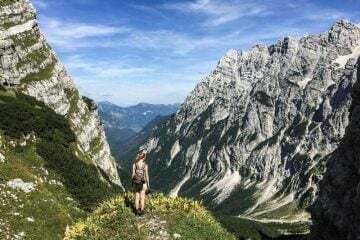 There are so many mountains, lakes, glaciers and powerful waterfalls that it will be a struggle to fit it all into your trip. While it may be an expensive place to visit, the cost is surely worth it. 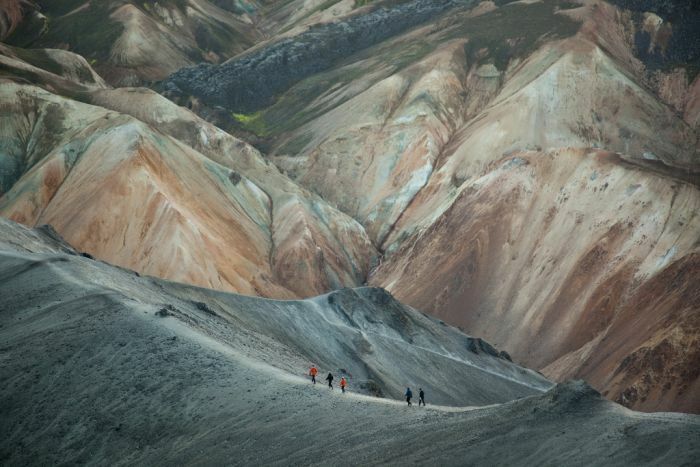 Most flock to Reykjavik, the capital and home to Iceland’s renowned late-night club and bar scene. It’s also a great place to delve into Iceland’s Viking history and can be a perfect base for various excursions. 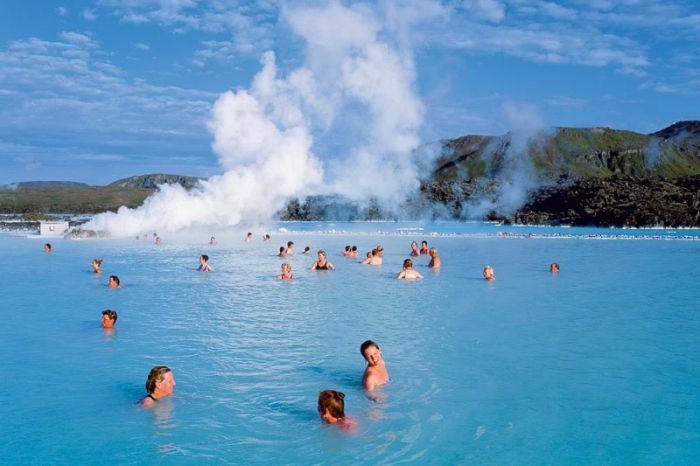 One of the most popular among them is the tantalising Blue Lagoon, a geothermal spa that is located in a lava field on the Reykjanes Peninsula. 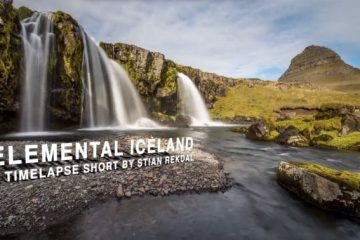 It is a worthwhile attraction to visit, but it is also one of Iceland’s most popular draws. Of course, soaking in a geothermal spa doesn’t exactly scream adventure. So as usual we’ve decided to take care of that side of things for you. 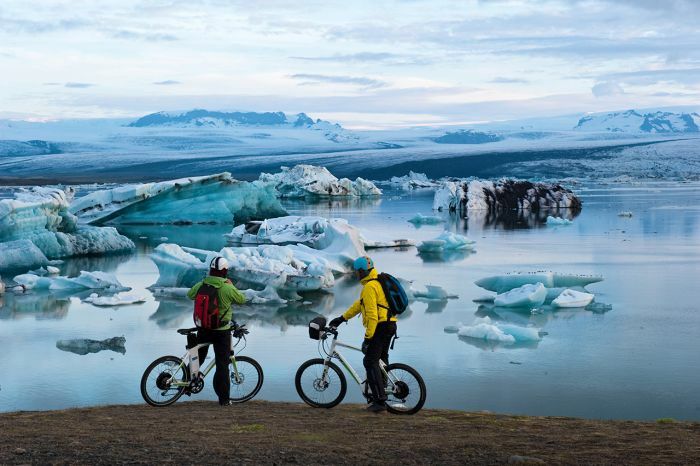 Here are five things to do in Iceland for outdoor enthusiasts. The cold waters off the coast of Iceland are often home to a diverse range of marine life, especially in the summer. 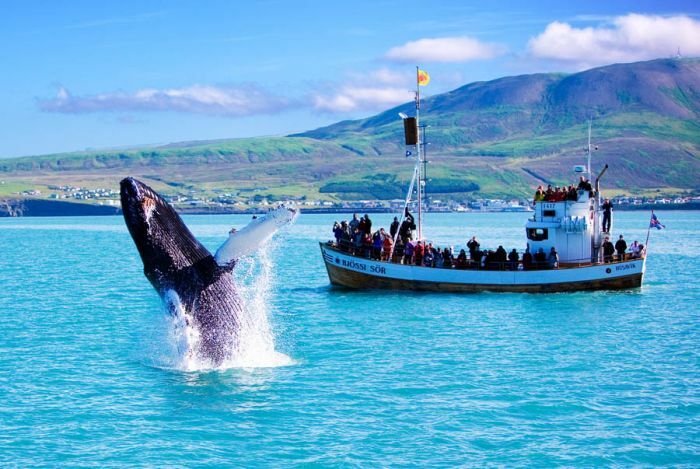 During these months visitors can often catch a glimpse of orca, minke, humpback and blue whales. As if that wasn’t enough, there are also chances to catch glimpses of white-beaked dolphins, seals, basking sharks and sea birds such as puffins, gannets and Arctic terns. While the summer months represent prime whale watching season, it is also possible to go in the winter too. In fact, doing so will only add to the occasion with beautiful, snowcapped mountains and stunning sunsets being regular backdrops. 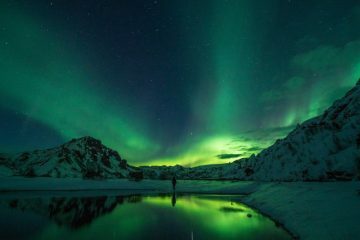 The lucky ones amongst you may even get a chance to see the northern lights. 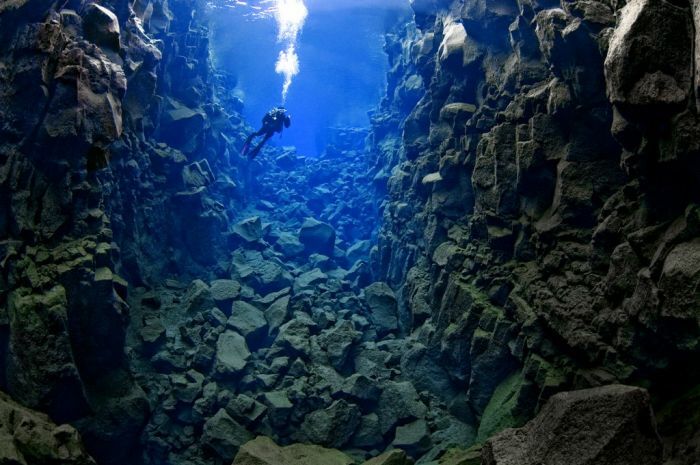 Widely considered to be one of the best dive sites in the world, the Silfra fissure is actually a crack between the North American and Eurasian continents which means you’ll be able to dive or snorkel right in between the continental plates. Remarkable, right? What makes this spot even more impressive is the astounding clarity of the water. Visibility is often found to be over 100m. The clarity of the water comes down to two reasons; the water is cold (2-4 degrees) due to it being glacial water and it is also filtered through underground lava for many years. 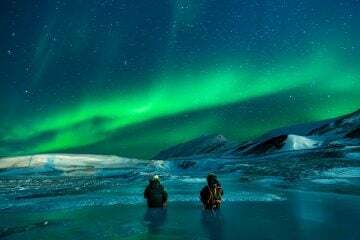 As you would expect from a country named Iceland, it is is blessed with 4,500 square miles of glaciers making it an ideal location for those wishing to try their hand at ice climbing. It’s a pursuit that is open to people of all abilities with organised tours running regularly. Sólheimajökull is one of the most common places people take on their ice climbing which can be part of a day trip from Reykjavík. All specialist equipment is provided meaning the only thing you have to worry about is holding it together while hanging from an ice cliff by your two ice axes. This is definitely one for the bucket list. 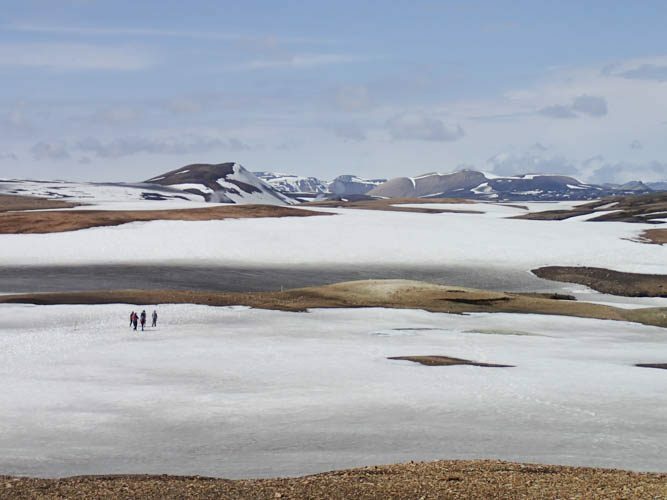 Popular among both locals and tourists, the 34-mile Laugavegur trail is one of the most extraordinary multi-day walks in the world. It passes through a huge variety of landscapes including mountains of every colour of the rainbow, giant glaciers, roaring hot springs, gushing rivers and beautiful lakes. The hike generally takes four days and there are six huts along the track with campsites for hikers to sleep at. Availability is limited though and reservations certainly necessary for the huts. 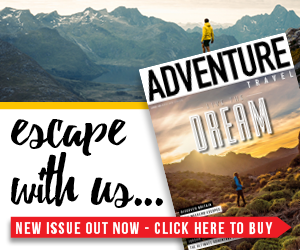 If you’re after an adventurous hike, this is it. You’ll have various river crossings and the weather is unpredictable and wild, so make sure you’re prepared. 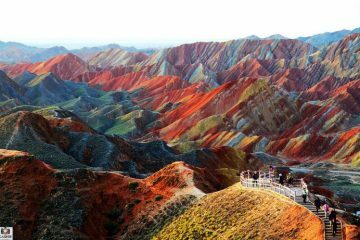 As is true with any country of natural outstanding beauty, you want to see as much as it as possible. Well in that case, cycling may just be one of the best options. Many travellers will cycle the Ring Road, a national road that runs around the island connecting many of the inhabited areas. While it is a worthwhile trip, it does mean you won’t see as much as the raw beauty of the country’s interior. That’s why we recommend taking a trip into the highlands. It will be a tougher challenge for sure, but one that is worth every exhausted breathe and every bead of sweat. To take on this task, you’ll need to make sure you are well prepared for the wild and unpredictable weather that is so common on this island.